Simply of my all time favorites, this home in Turnbridge Wells, UK. 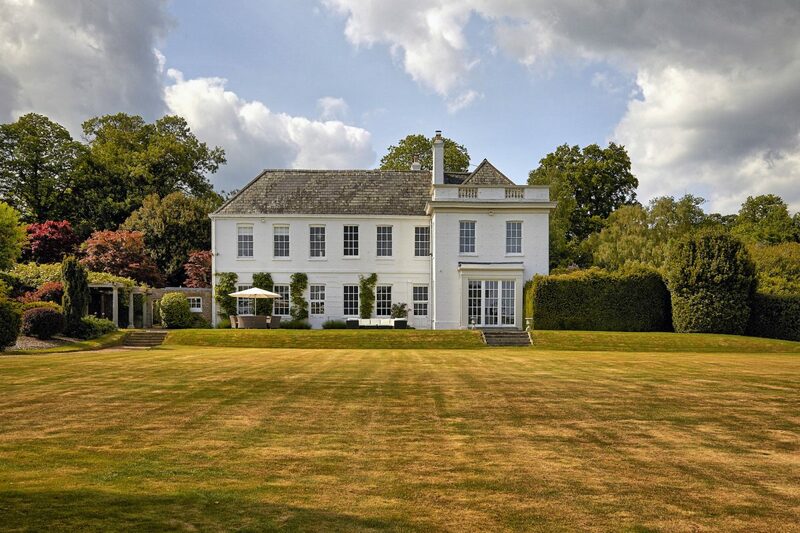 The Hepburn House is a manor house nestled within 66 acres of beautiful landscaped gardens and parkland. The exterior of the property has been completely restored and is well maintained to retain a clean and manicured finish. 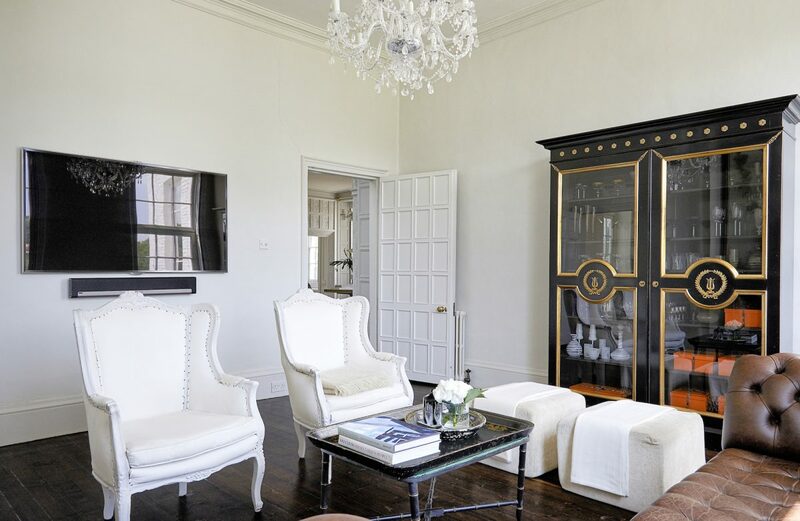 An elegantly designed interior makes the most of the wealth of original features in this property. 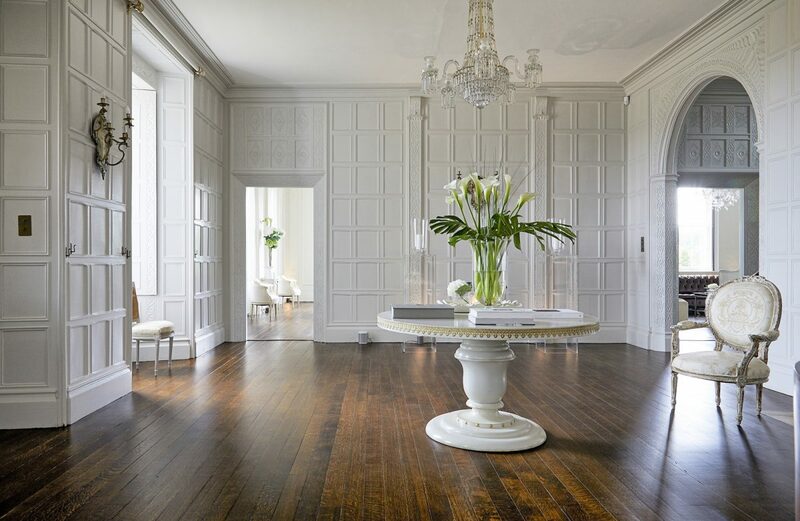 By using a simple and clean palette of neutral tones on the walls, and with minimal contemporary furnishings the panelled walls, detailed plasterwork, and rich wood floors are all made the focal point of the design. 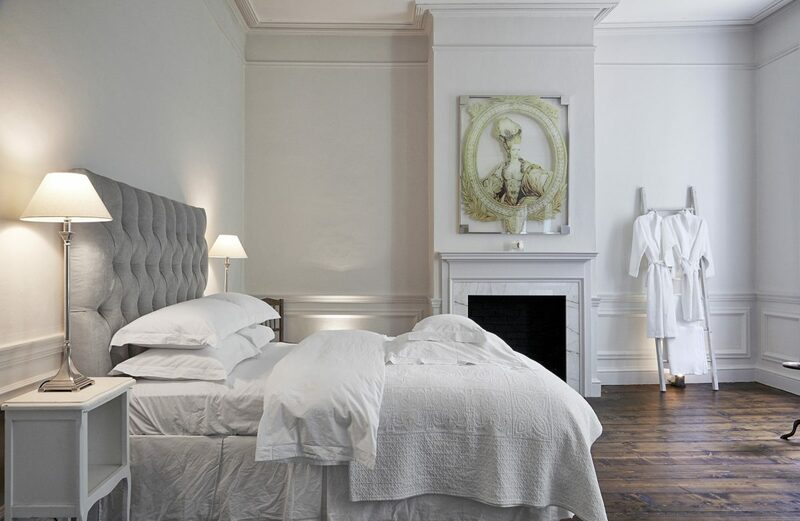 This is a refreshing approach to interiors for a period property of this kind. 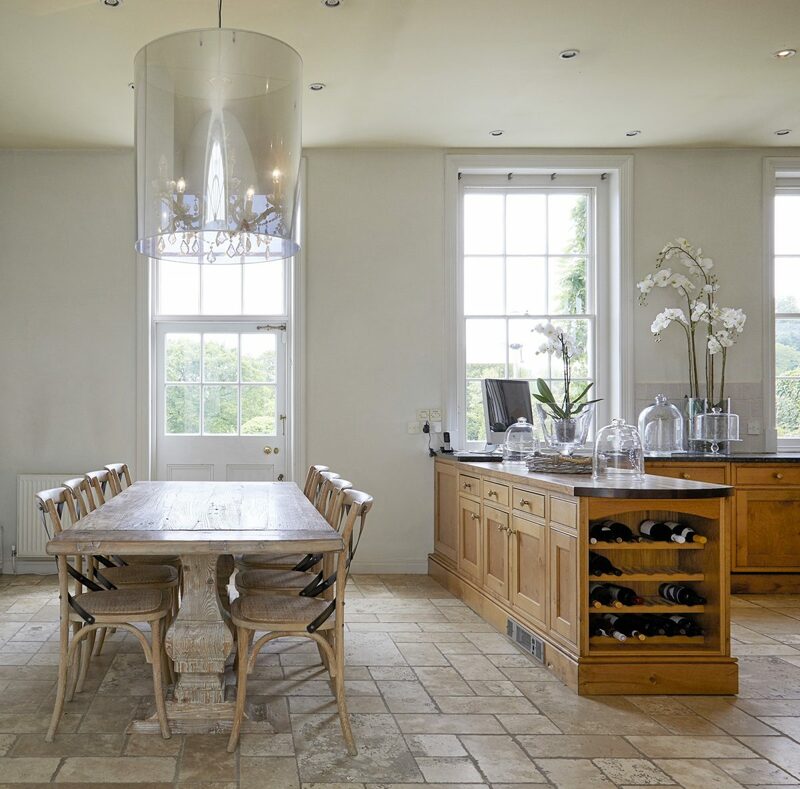 An elegantly designed interior makes the most of the wealth of original features in this property. 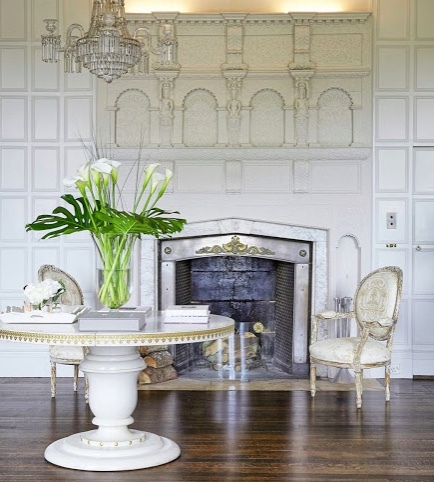 By using a simple and clean palette of neutral tones on the walls, and with minimal contemporary furnishings the panelled walls, detailed plasterwork, and rich wood floors are all made the focal point of the design. 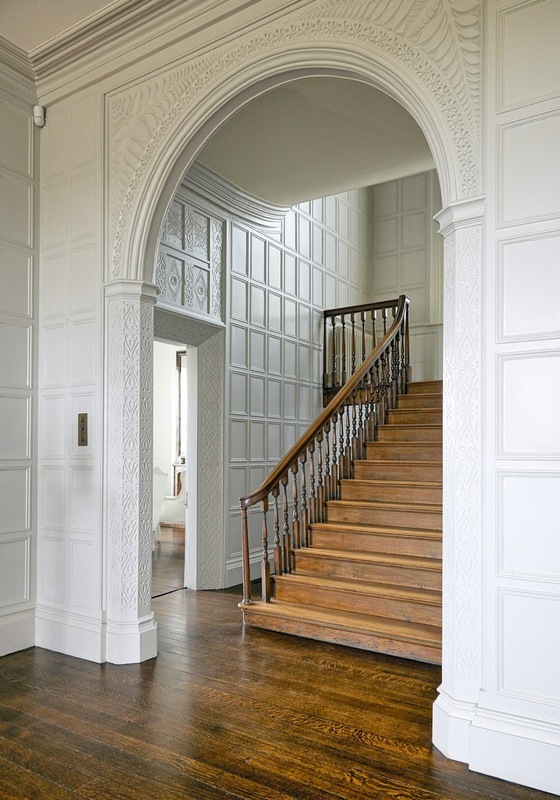 This is a refreshing approach to interiors for a period property of this kind. 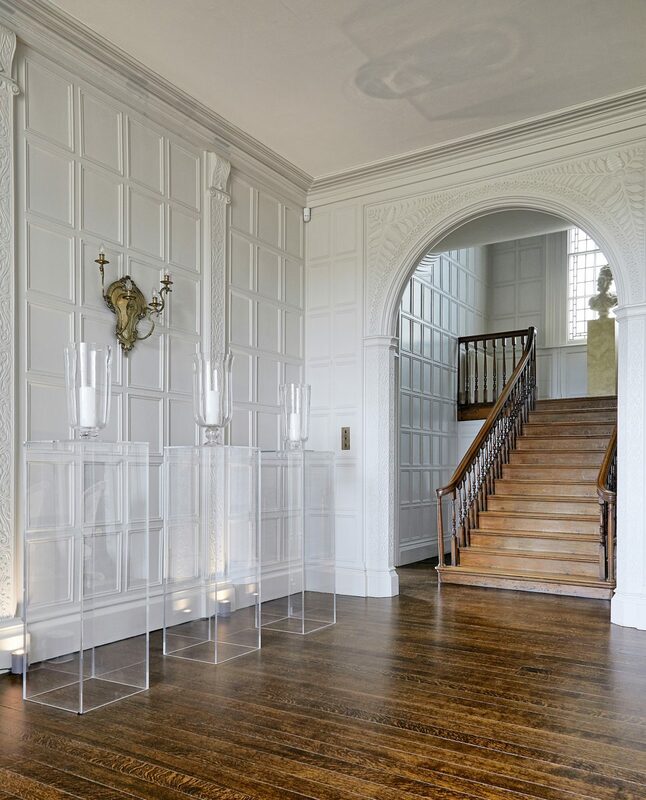 A large entrance hall with Jacobean dark oak floors provides access to the formal dining room. 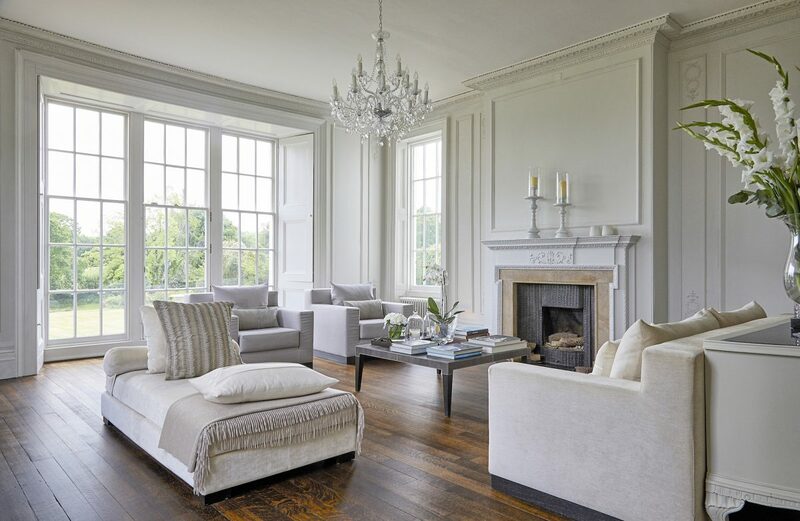 The drawing room is also accessed from the main entrance hall, furnished with Armani Casa sofas and chairs this room is flooded with natural light with large sash windows to two aspects. The hall, dining room, and drawing room all boast working open fireplaces, inlaid with marble and brass and high ceilings of around 12ft. 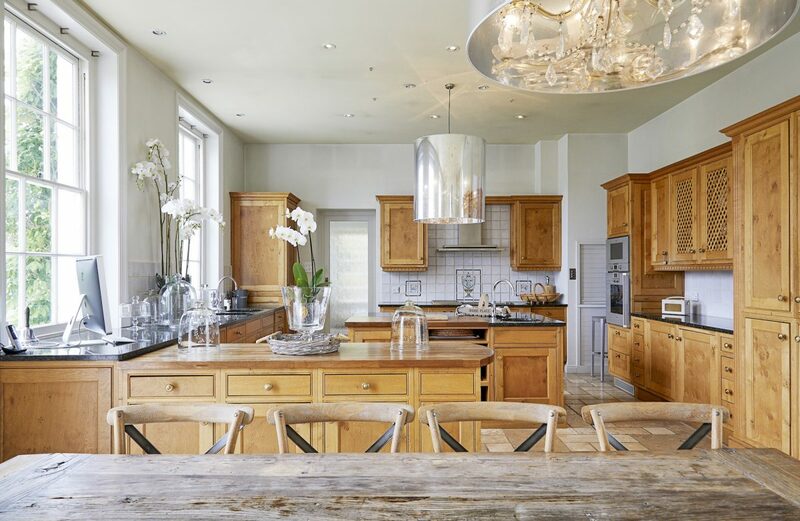 Reached through an internal glass covered courtyard with limestone flooring, the country style kitchen is large and bright and features a travertine marble countertop. Off the kitchen is the snug and TV room. 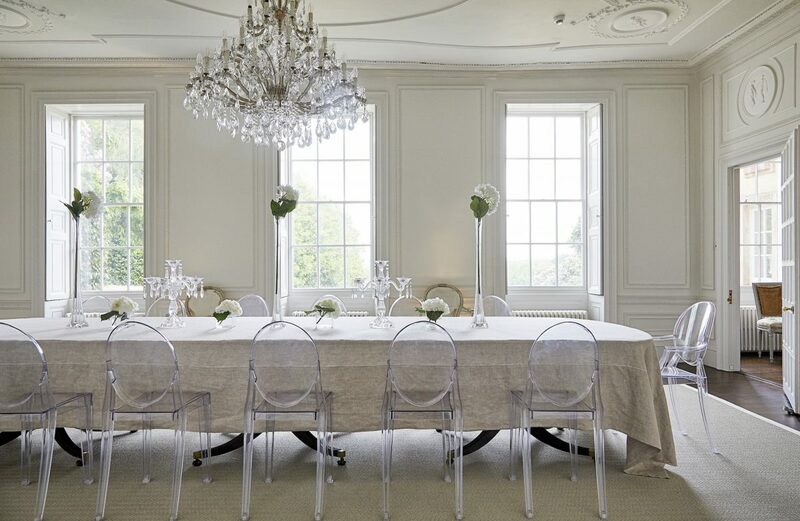 This is a large room with a regency dining table with seating for 18 people. A 16 arm antique crystal chandelier hangs above the table providing an extra bit of drama to the space. 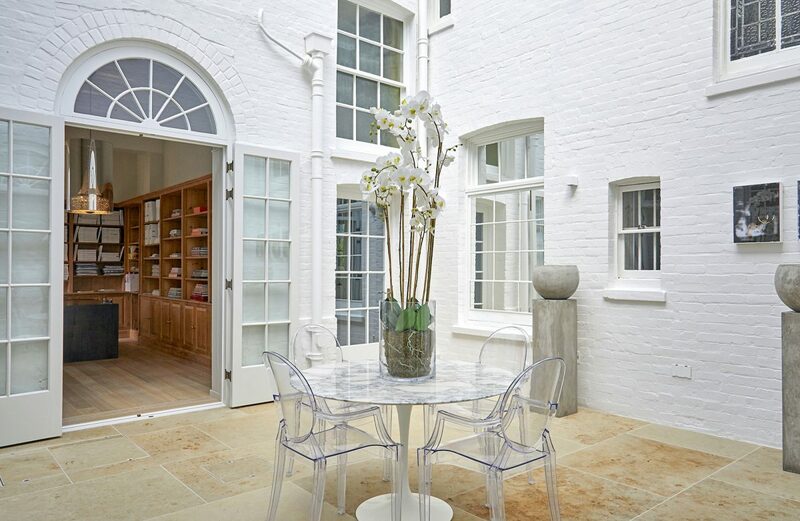 The courtyard is a fabulously light space flooded with daylight and provides a delightful seating area. The swimming pool in the garden has an exotic feel to it, with banana leaf planting and large daybeds on the decking. 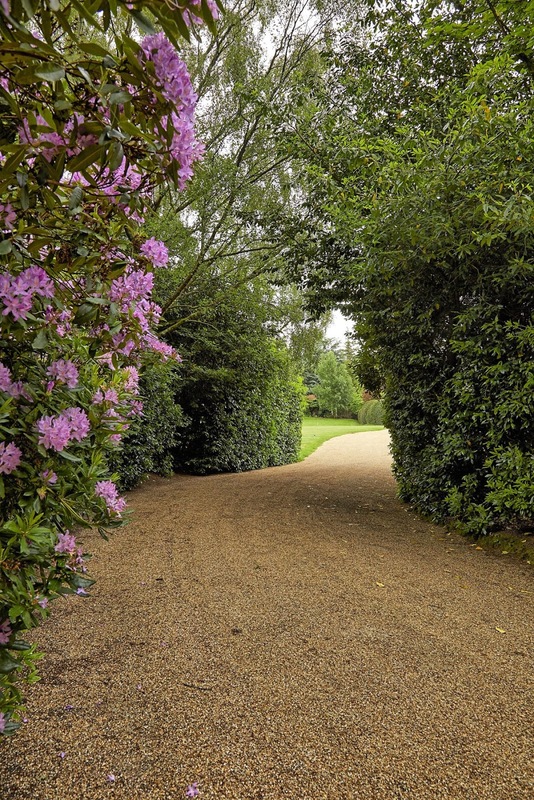 The garden offers also beautifully tended walkways with herbaceous borders, a paved terrace elevated above the lawns, a secret walled garden, and an orchard. 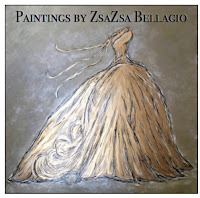 This entry was posted in beautiful, Home & Design, House beautiful, it's so, traditional home. Bookmark the permalink.